Six Sigma is a structured method following the DMAIC steps aimed to improve the quality and efficiency of processes. This approach is a project mode based both on the voice of the customer and on measurable and reliable data. We will use this method in the efforts to reduce variability in production processes and in products and services to improve the overall quality. The complementarity of Lean (increasing productivity) and Six Sigma (reducing variability) led to the development of Lean Six Sigma. 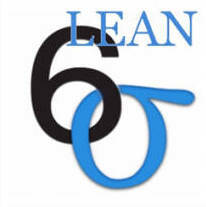 Marense assists you to deploy, train and use Lean Six Sigma in your business. For any question, do not hesitate to contact us !